In this introductory course, students will learn important basic concepts in machine learning with a series of hands-on training exercises using R and RStudio. We will explore and discuss different machine learning training strategies and learn on the most important algorithms used in this field such as Random Forests and Support Vector Machines. The capabilities of R caret package will be extensively used and applications in genetics and genomics will be performed with data from public databases. At the end of the course, students will be able to implement a machine learning strategy and to critically evaluate an algorithm’s performance in classification and regression problems. For a detailed course outline, click here. PREREQUISITES: Introductory to intermediate programming proficiency in R and R Studio; Basic foundation in statistical modelling (e.g. linear regression). REGISTRATION: To register for the course and pay the $375 tuition fee, please click here. Dr. Mayte Suarez-Farinas is currently an Associate Professor at the Center for Biostatistics and The Department of Genetics and Genomics Science of the Icahn School of Medicine at Mount Sinai, New York. She received a masters in mathematics from the University of Havana, Cuba and, in 2003, a Ph.D. degree in quantitative analysis from the Pontifical Catholic University of Rio de Janeiro, Brazil. Prior to joining Mount Sinai, she was co-director of Biostatistics at the Center for Clinical and Translational Science at the Rockefeller University, where she developed methodologies for data integration across omic studies, and a framework to evaluate drug response at the molecular level in proof of concept studies in inflammatory skin diseases using mixed-effect models and machine learning. Since arriving to Mount Sinai, she has develop precision medicine algorithm to diagnose food allergy endotypes, diagnosis and response to oral immunoteraphy in children with food allergy. Her long terms goals are to develop robust statistical techniques to mine and integrate complex high-throughput data, tailored to specific disease models, with an emphasis on immunological diseases and to develop precision medicine algorithms to predict treatment response and phenotype. 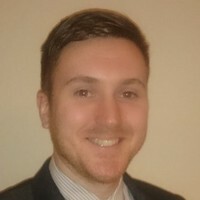 Dr. Lewis Tomalin completed his PhD in Molecular Systems Biology at Newcastle University UK, focused on using dynamic modeling techniques to understand signal transduction pathways related to oxidative stress and aging. He then went on to complete his postdoctoral research at Rockefeller University and the Icahn School of Medicine at Mount Sinai. His postdoctoral research covered a broad range of topics, but his main focus was applying machine-learning, genomic and proteomic techniques to understand the molecular mechanisms underlying the pathogenesis of psoriasis and the mechanism of action of high efficacy next-generation anti-inflammatory biologics. He is now continuing this research as an Assistant Professor at the Icahn School of Medicine at Mount Sinai in the Center for Biostatistics and Department of Population Health Science & Policy. For questions about this course, please contact Deidra McKoy at deidra.mckoy@mountsinai.org.